Our exhibition 'Between the human and the natural' – portrait and landscape photography of Gunnie Moberg – continues until Wednesday 5 February. 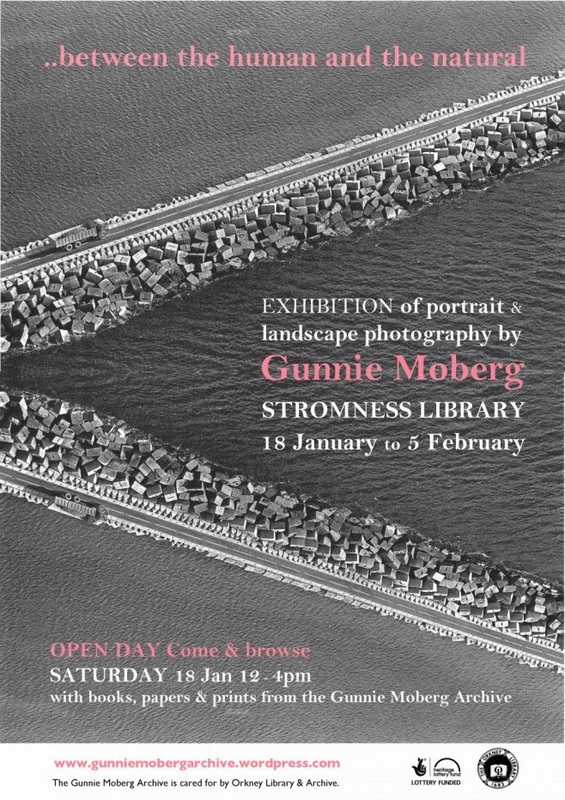 Following the success of the first open day, Rebecca Marr will be back tomorrow, Saturday 1st February, with boxes of prints of Stromness from the Gunnie Moberg Archive for you to look through. The Open Day runs from 1-4pm and everyone is welcome to come along to look through the images, and see if they can identify the people and places Gunnie captured on film. You can see examples of some of the prints of Stromness on the Gunnie Moberg Archive Blog. 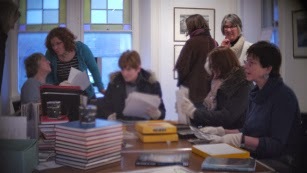 Here are some images from the first Open Day on 18th January, when around sixty folk came along and enjoyed delving into the treasures from the archive. This is the title of the exhibition of portrait and landscape photography by Gunnie Moberg, which opens in the Stromness Library this Saturday 18th January, with an Open Day from 12pm-4pm offering the chance to find out more about the contents of the archive and the process of creating the digital archive. At the Open Day Rebecca Marr will be bringing along boxes of prints for folk to browse, Gunnie’s published books and newspaper clippings spanning her artistic career, as well as documents and diaries from her working life, and Gunnie's trusty Olympus OM1. The film 'Gunnie' by Mark Jenkins will also be shown. The exhibition runs until Wednesday 5th February. 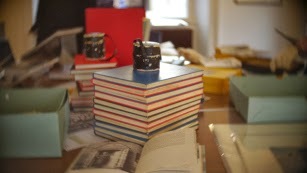 You can read more about the Gunnie Moberg Archive on the archive blog. Wishing all our readers a very happy 2014, full of good books, and many happy library visits! Congratulations to Catriona, and thanks to all who entered. Catriona if you could email us at stromness.library(at)orkney.gov.uk we can arrange to get your prize to you.